The French passenger car market remained less affected by the impact of WLTP than the other big European countries in October. So says Dataforce’s Richard Worrow as the firm’s analysis finds the overall market was down just 1.5% in October; once again in a better shape than Germany, Italy, Spain and the UK. While the Private Market increased its volume by 3.4%, the true fleet sector remained in the red and were down by 3.0%. Dealerships/manufacturer and short-term rental registrations were significantly lower (-10.4%) than October 2017 and consequently the share of these special channels was the lowest in 2018 so far, underlining the reciprocation between these more tactical segments on the one hand and the direct end customer channels of private and fleet on the other hand. In terms of brand performance, the usual two domestic carmakers dominated the fleet market: every second company car in 2018 was either a Peugeot or a Renault and the lead is constantly alternating between these two. In the first 10 months of this year, both were in front five times. 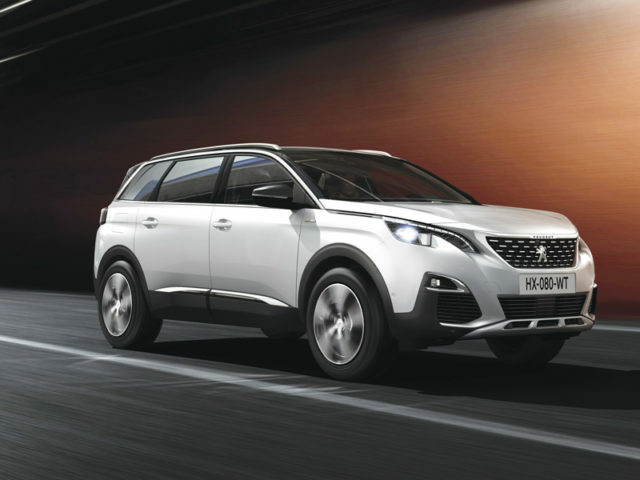 In October it was Peugeot’s turn again: the very solid growth of 9.3% in a declining overall market led to a market share of 29.6% which is an all-time high for the PSA brand. The SUV models 3008 (number one model in true fleets) and 5008 and the 308 all had double-digit growth rates compared to October last year. Additional support came from the Peugeot Traveller with a remarkable +74.4%. Renault, Citroën and Volkswagen on ranks number two, three and four were all in the red. For Toyota in fifth place, the situation was much brighter with a +69.7% rise, which allowed the Japanese manufacturer to overtake Mercedes, Ford and BMW. Many Toyota models increased their registrations, but the Yaris saw a plus 80.6%; it was not only Toyota’s top seller in fleets but also put itself into rank number 10, gaining no less than 13 places. With Škoda in ninth place ahead of Opel we saw another strong performer in October. With a +86.5% rise the manufacturer from the Czech Republic scored a new record market share. Next to the SUV models of Kodiaq and Karoq, the Škoda Octavia was especially remarkable and achieved its highest monthly volume ever in the French fleet market. With news of diesel bans for Paris, Dataforce also looked at fuel type performance for the French capital and found for January-October 2018 the share of alternative fuel types in Paris was the highest across all regions of France with 11.0%. This result is not so much driven by full EVs, as their share in Paris was only slightly higher than the average for the whole country (2.3% vs. 1.9%). In fact, it was the percentage of hybrids and plug-in hybrids which stands out. While the average in France was 4.9%, in Paris 8.7% of all new cars registered on fleets were equipped with a hybrid powertrain.